Today our guest writer is Kris Camealy. Kris is an author, Refine Retreat host, and a conference speaker. She has authored two books: Holey, Wholly Holy: A Lenten Journey of Refinement and Come, Lord Jesus: The Weight of Waiting an Advent devotion. In addition, Kris is a fellow Ohioan! I have followed Kris' blog, kriscamealy.com, for years and in 2016 I was so honored to sit on the book launch team for Kris' Advent book. My 2016 Advent art journal and blog posts were a journey through her book. 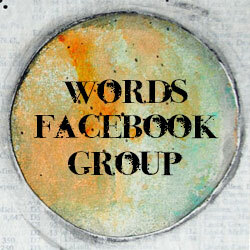 I want to especially thank Kris for contributing to Lent Words this week as her Refine Retreat begins on Friday. Please pray for her and all who will be attending. Thank you Kris for contributing to our Lenten journey!